Congratulations to Dr. Nigel Browning at Pacific Northwest National Laboratory on being selected a Fellow of the Microscopy Society of America. Browning received this honor for his advances in scanning transmission electron microscopy, and for developing spatial, temporal and spectroscopic techniques to better understand foundational issues in physical and life sciences. Browning has been pushing the limits of electron microscopy and spectroscopy since the early 1990s, when he applied the new technology to determine the composition of individual planes of atoms, an unexpected feat, given the state of the field at that time. While at the University of California, Davis, he and his colleagues at Lawrence Livermore National Laboratory received an R&D 100 award for developing dynamic transmission electron microscopy. This technology can zoom in on objects as small as a few nanometers and can catch a moment in time to reveal what happens over about 15 nanoseconds. This high resolution in time and space allows researchers to take snapshots of what is happening during chemical reactions, information that usually has to be inferred based on the final product. In one such determination, researchers revealed a never-before-seen chemical intermediate that blew in and out of existence in about 5000 nanoseconds, giving scientists a better handle on chemical reactions. Browning joined PNNL in 2011 with the goal of making DTEM, which requires the samples to be in a vacuum, work at normal pressures and temperatures. 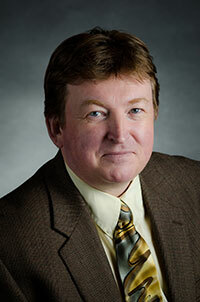 He is conducting the research as part of his role as the Chief Science Officer at PNNL's Chemical Imaging Initiative. A Fellow of the American Association for the Advancement of Science, Browning earned a bachelor's degree in physics and mathematics from the University of Reading, United Kingdom in 1988 and a doctorate in physics from the University of Cambridge, United Kingdom in 1992.